This move could ultimately lead to safer roadways everywhere. Tesla is now in the United Arab Emirates (UAE). The electric vehicle manufacturer and sustainable technology innovator has brought its charging, service, and support infrastructures, as well as autonomous models to Dubai. The country’s Roads and Transport Authority (RTA) ordered 200 Model S sedans and Model X SUVs with ‘fully-self-driving-capability’ from Tesla. 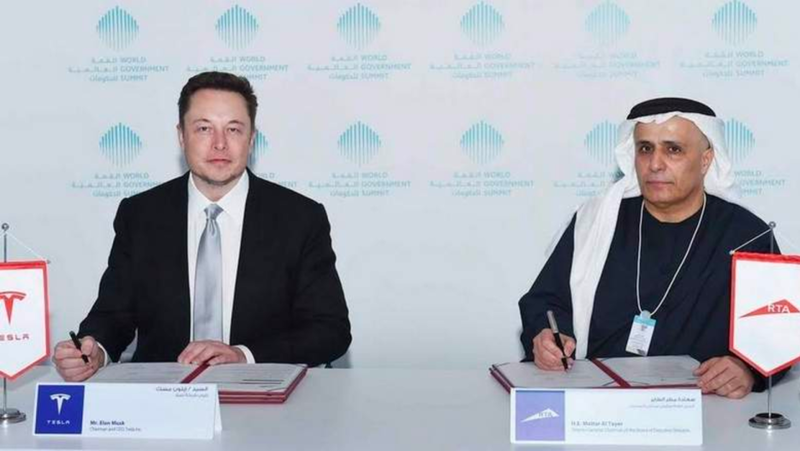 The deal was formalized Monday between Tesla CEO Elon Musk and Mattar Al Tayer, the UAE’s Director General and Chairman of the Board of Executive Directors of the RTA. This agreement is in implementation of the directives His Highness Sheikh Mohammed bin Rashid Al Maktoum, Vice-President and Prime Minister of the UAE and Ruler of Dubai, to transform Dubai into the world’s smartest city, and the Green Economy for Sustainable Development initiative. It is also part of the Dubai Smart Autonomous Mobility Strategy aimed at transforming 25 [percent] of total journeys in Dubai into autonomous journeys by 2030. The agreement also reflects RTA’s efforts towards providing driverless transportation solutions through undertaking technological tests of autonomous transit means. Tesla expects to begin delivery of the vehicles by July of this year. The RTA will be the one oversee regulation of the vehicles in Dubai. The self-driving capable vehicles will be added to the Dubai Taxi Corporation’s limousine fleet. Studies have shown that autonomous vehicles can actually save lives, so far reducing Tesla crashes by up to 40 percent. Some suggest that driverless cars could save an estimated 32,000 lives per year. And as soon as Tesla rolls out its improved autopilot self-driving software, Dubai expects the usual regulatory approvals to come with ease. Perhaps this wave of autonomous vehicles in Dubai will lead to safer future roadways.